(Dallas)— On the eve of constructing yet another DFW clean air plan, the 2013 Ozone Season ended on Thursday the same way the previous 16 have ended: with North Texas out of compliance with the 1997 federal clean air standard. Even a mild summer with lower temperatures and more rain couldn't save the numbers from exceeding an illegal three-year running average of 85 parts per billion at monitors in Keller and Grapevine. That new plan has its official kick-off event next Tuesday, November 5th, beginning at 9am in Arlington at the Council of Governments Headquarters. It's the first briefing from the Texas Commission on Environmental Quality on the computer model it will be using to base the plan on. Everything about one of these plans is based on such a computer model, a model only the state can run. The plan must be submitted to EPA by June of 2015. Even though extremely high ozone numbers were rarer this year, there were enough bad air days to cause the running averages of 10 out of 17 monitors, called "design values" to rise – not the kind of trend you want when you're next task is complying with a tougher standard. Every monitor inside the DFW metro area and even most "rural" monitors had a design value above the new standard of 75 ppb. Only Kaufman and Greenville made it under the wire, barely, with readings of 74 ppb. This pattern has been the target of the last three state clean air plans, but has never been overcome. Schermbeck noted that last clean air plan to make a dent was the 2006 effort that produced lower numbers in steady fashion. Since 2008 however, air quality that was supposed to be getting better has gotten worse, or stagnated. While cars have gotten cleaner during this time, and pollution from cement and coal plants has been reduced, there's one "source category" of pollution that's increased significantly since 2008: the gas industry. In submitting the last DFW air plan to EPA in 2011, the Texas Commission on Environmental Quality estimated there were more tons of smog-forming Volatile Organic Compounds being released by the gas industry in the official DFW "non-attainment area" than by all the cars and trucks on the road combined. That wasn't true in 2008. Moreover, this is new air pollution in a smog non-attainment area that doesn't have to be off-set by reductions in pollution elsewhere in DFW. Unlike every other large industry, the gas industry is exempt from this offset requirement of the Clean Air Act. Denton's Airport monitor's 4th highest reading of 85 ppb this summer, the one that officially counts toward its running average, was the highest such reading in the entire state, including Houston. 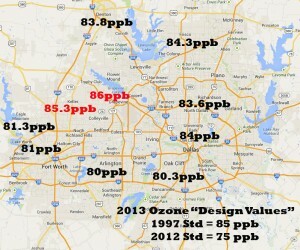 There's no doubt Denton is in the middle of the local gas patch, as are the Keller and Grapevine monitors that had the highest design values this year. Given the decreases in pollution from other categories, are gas patch emissions keeping these numbers from coming down they way they were supposed to? Austin keeps saying no, but the evidence is compelling. Just last year there was a study out of Houston showing how a single flare or compressor station could significantly impact local ozone levels by as much as 5 or 10 ppbs. TCEQ itself just produced a study this last summer showing how Eagle Ford Shale gas pollution is increasing ozone levels in San Antonio. 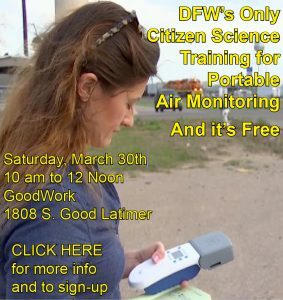 Local Barnett Shale gas pollution might explain these Tarrant and Denton county monitors' problems, but they don't explain the rise in numbers of the Dallas monitors, since the wind during ozone season comes in from the south to southeast. What new pollution is coming from that direction? 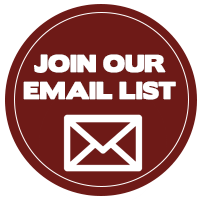 Gas industry pollution from numerous compressor stations and processing plants stations in Freestone, Anderson, Limestone and other counties just about 90 to 100 miles south-southeast of Dallas. If one adds up all the emissions these facilities are allowed under their "standard permits." it exceeds the pollution from coal plants like Big Brown. That's a huge hit from sources that weren't there 10 years ago. In effect, DFW is getting squeezed between gas pollution being produced in the middle of its urban areas, and gas pollution blowing in from the south. I am extremely concerned at our (dfw) air quality… for some time, i have watched our neighborhoods have the life sucked out of it with the drought killing all the trees, reducing our OXYGEN production,but more over to find your site telling me it’s more…omg (kmn), what recourse do have? Must further this site. Fascinating!